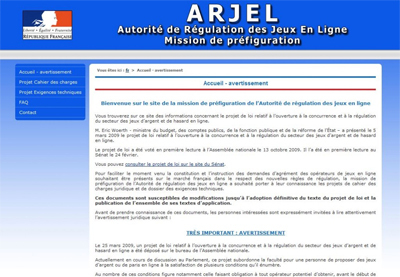 Frances online gaming regulatory authority, ARJEL, has just released its second quarterly report about how the countrys internet-based gambling has evolved this year. The 40-page document actually saw, once again, a drop in cash games activities. Indeed, the number of active players per week dropped by 5% with wagered money figures falling by 10%. Despite all this, the countrys Gross Gaming Revenues remain stable. The ARJEL-issued report showed a tiny GGR decrease of 2% amidst time when Sit & Go and Espresso tournaments are gaining popularity among players. The same report demonstrated an increase of 16% on tournament entry-fee figures, equalling  421 million. 73% of this amount represents the entry-fee figures from Sit & Go tournaments while the 27% part equals multi-table tournamentsregistration fees. A priori, MTTs or MultiTable Tournaments no longer appeal to gamblers. The amount of time they play poker has significantly plummeted down these days. They would prefer indulging themselves in a small tournament session, the likes of Expresso and Spin & Go. Big names appearance is getting scarce too. Speaking of Frances mobile poker, the Q2 2015 report by the ARJEL highlighted an upward trajectory. More and more players are making use of their smartphones or tablets with which they play the game. As an new finding, the regulatory authority came up stating that less and less younger punters now show interest in playing poker. With a 18% decrease in the number of active accounts of subcribers between 18 to 24 years-old, the future of the market would be jeopardized. To remedy that situation, many poker rooms are currently considering enhancing their gaming features to better attract young players.